My philosophy of design is simple. 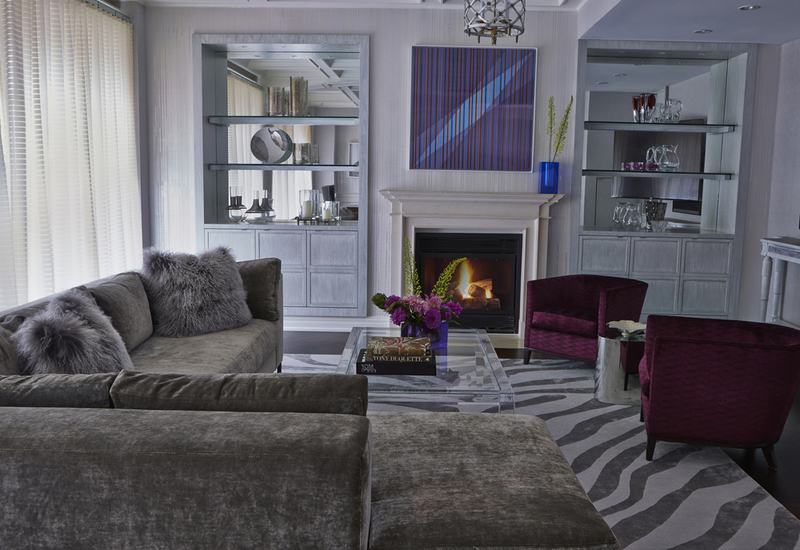 I believe in creating functional, beautiful spaces that enhance the way people live and work. The classic, modern elements I use are timeless - like the comfort of cashmere paired with a hand-crafted Hermes belt. I'm obsessed with the sensual pleasure of good design - the fine "hand" of a rich fabric, the glow of exotic woods, the heft and solidity of stone. Translating these attributes into spaces that bring ease and effortless style to my clients' lives is a process that involves all the senses. I design working and living spaces that highlight elements people want to touch. Touch is the most basic of all the sense and is closely related to a sense of well-being. I don't believe in designing places that make people edgy, upset or out of balance. Tranquility is one of the key components of my aesthetic. In functional working & living spaces, a major aspect of this tranquility is soundproofing. Tranquility can also be conveyed by the judicious use of hidden sources of light, just as in nature where sun is filtered through tree leaves or clouds, indirect, unobtrusive sources of soft, natural-spectrum light can create balance and proportion in private residences and public work spaces. If there's one aspect of the trend to minimalism in design that I detest, it's discomfort. When designers dictate style which doesn't address the issue of comfort, that isn't good design. I believe you don't have to sacrifice style for comfort. Comfort is an essential component of my work in both residential and work environments. That often translates into furniture that I design myself and have custom-built. For me, form and function are equally important. It is often said that the most underused sense of all is common sense. In my work, common sense means putting the client's needs first. It mean's letting the client's taste, style and desires engineer the design. It also means that I will try to help guide that taste and edit it when necessary to achieve optimum results. Lastly, common sense dictates that I will bring the project in at or under budget. I have worked with budgets great and small. It's wonderful to have carte blanche, but restrictions can be the muse of creativity as well. In the end, common sense means putting the client first and letting good design grow organically from there. Born and raised in Miami, Ron Fleeger calls Manhattan home. Dividing his time between commercial and residential projects, Ron continues to helm projects throughout New York and New Jersey as well as South Florida and Overseas. Since founding Fleeger, Inc., he has designed luxuriant living, working and fitness spaces for his clients to enjoy. Ron has designed product and created images for fashion and accessories companies. Fleeger, has a BFA from FSU. He is obsessed with art, architecture, fashion and design and has developed his design aesthetic through years of study and travel abroad.